If you prepare and freeze food in advance, you'll always have a meal on hand when there's no time to cook. But take care to freeze food correctly. The two biggest enemies of frozen food are air and moisture because they can cause freezer burn. That's why it's a must to use airtight containers and packaging that will keep your food free of moisture. 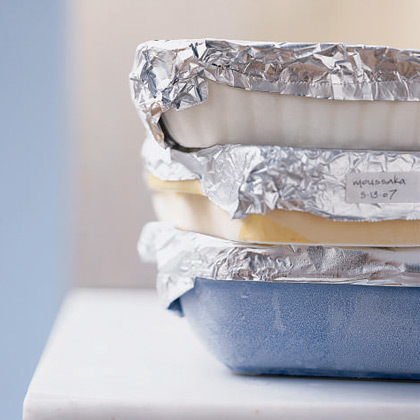 To streamline your preparation, label the container with the date you're freezing the food. Also include the reheating instructions and the number of servings. Try this Kitchen Shortcut with Southwestern Meat Loaf and Baked Potatoes.